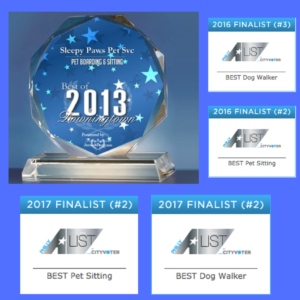 Downingtown PA’s Sleepy Paws Pet Care was named runner-up for best dog walker and pet sitter categories for the second year in a row on Philly’s A-List. The 2017 Philly A-List awards are based on more than 19,000 votes from local Philadelphia-area experts voting on 165 categories. 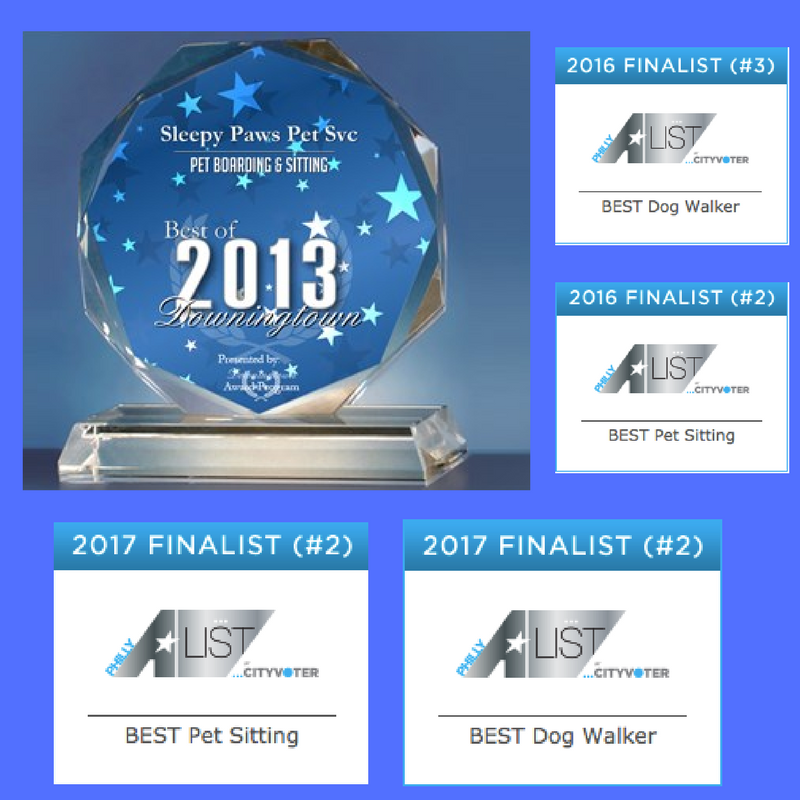 Sleepy Paws Pet Care is the only pet sitter in Western Chester County to receive this honor. Sleepy Paws has been serving Downingtown, Coatesville, Exton and the surrounding areas since 2009.